18V ONE+™ HYBRID LED Color Range Work Light is rated 4.8 out of 5 by 5. 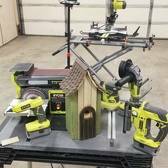 Rated 5 out of 5 by chris from great light love it I absolutely love the hybrid tool line and this is no exception. The first time I used it was with a 2.0ah battery and I got 6 hours on a charged battery and it was still going when I turned it off The light has 3 brightness settings and is adjustable for color from a bright white to a warm soft color and all in between. The light can be adjusted to aim directly on your work or to fill a room and it comes with a nice attachment to let you mount it on a tripod this is a really great light at a great price and I believe anyone would like it for many uses especially someone painting or doing sheet rock work. Rated 5 out of 5 by Anonymous from Great work light I bought this light at home depot. 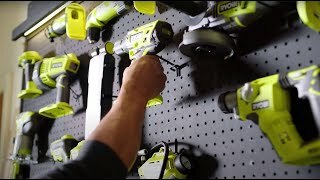 Associate was helping me find a light I wanted and he personally recommended this ryobi work light. It was the same price but this one was the newest light available. Over all I am very satisfied with this light, wide range, and brightness. Rated 4 out of 5 by Large Sarge from Great work light, poor for video though Picked this up at my local HD sadly to return it. All in all a great, decently bright work light with tripod mount. Hoping this could service as a small key of background light as well for video and reliable battery. Unfortunately it flickers that is easily picked up on video. Bummer as I really wanted to get a bunch of these for location shoots. Yes a I realize it wasn’t meant to be a video light but it had a lot of potential. Rated 5 out of 5 by daustin from Great Little Light This is one Great little work / painting light! Its super bright, lets change the brightness with a click of the power button and the color change feature is..amazing. How many times I have painted a room a lighter color to only find out later that I missed a.bunch of spots! With this lights...no more!! If you are looking for a great light at a great price this is the one for you. Rated 5 out of 5 by Jerry martin from Happy camper Recently I wrote a review and gave two stars because I was not happy with my LED light. Shortly after that I was emailed by Ryobi folks and they told me they would take care of the problem. They did and now I have to amend my comment of two stars and say that I am very happy with my light . It works much better than before thank you Ryobi. I only wish my iPhone 6 could have the same scenario. It’s been a real pill lately. 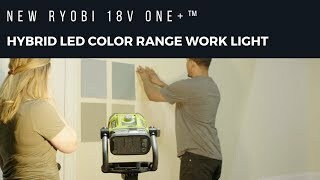 RYOBI introduces the new 18V ONE+ Hybrid LED Color Range Work Light. 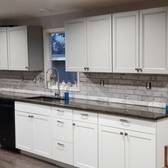 Find it in the Electrical Aisle at The Home Depot. 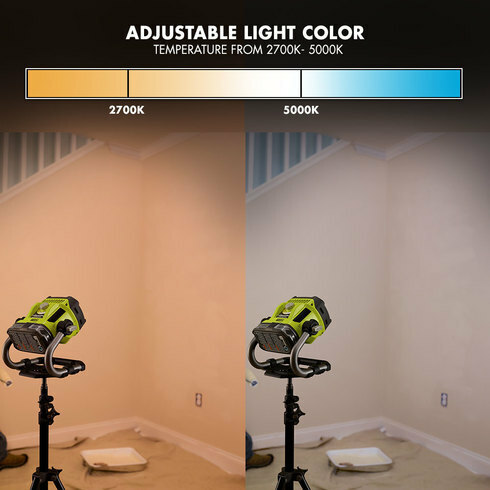 Variable color temperature adjusts from 2700 to 5000 Kelvin Degrees to give you the most accurate view of your workspace. The adjustable knob correlates light temperature for improved color perception. 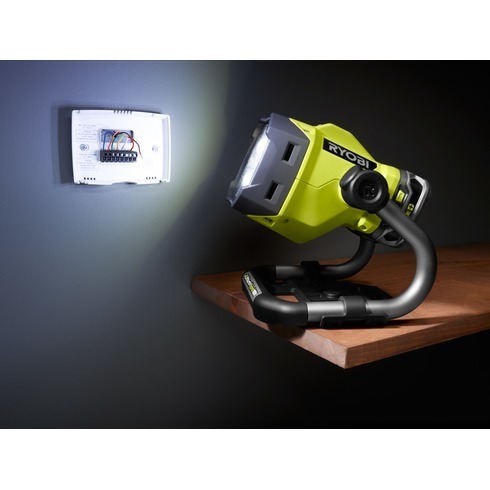 This light features 360º light head rotation for a variety of positions and HYBRID technology, allowing for use with a RYOBI ONE+ battery or AC extension cord (not included). See below for more details.